Stay up-to-date on approaching storms or post storm activities by subscribing to our Press Release. 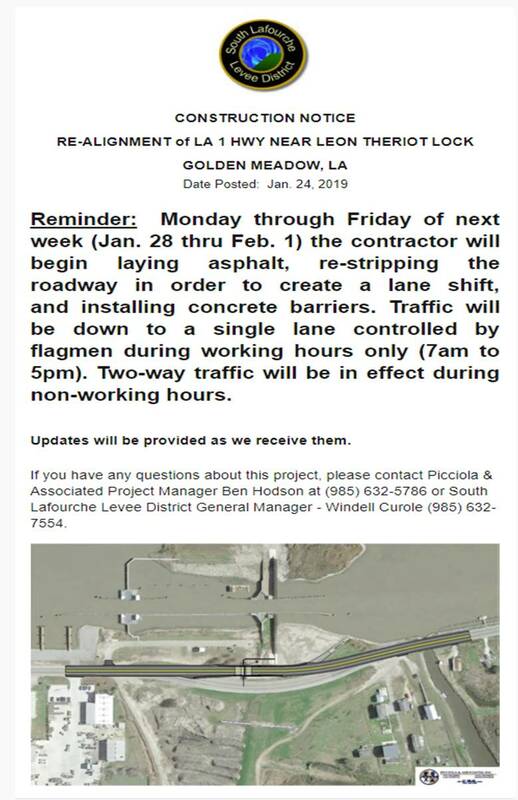 ...to provide, within our district, the highest possible level of protection from flooding due to high tides, heavy rain falls, tropical storms and hurricanes for the safety and well being of the community of South Lafourche. 360 degree photos added to the following areas/projects: PS #4, Larose Floodgate Area-E, and Delta Farms Area Rain Event-Oct 2018. Choose these pages from the Projects menu in the left column. Click and drag your mouse to see every angle. Very impressive photos by Engineer Neil Angelette of Angelette-Picciola. Sign up for emergency alerts by subscribing to our mailing list in the left side column (red box). We'll alert you before, during and after major events to keep you as informed as possible of approaching storms, evacuations, and any damages in your area. *Please note that our office closes at 11:30a each Friday. Any holiday that falls on Friday will be split between Thursday and Friday. When two holidays fall on Thursday and Friday consecutively (Thanksgiving and Acadian Day), the office will close at 11:30a on Wednesday. For a complete list of 2019 State Employee holidays, click here. Going Public on HTv 10 features North Lafourche, South Lafourche and Terrebonne Levee District representatives who offer insight and updates on the areas where you live. Catch all the shows here. Visit our Hurricane Preparedness page for helpful information on hurricane and storm preparations. 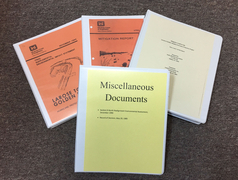 ENVIRONMENTAL and MITIGATION REPORTS for the Larose to Golden Meadow Hurricane Protection System are now available on our website. See more videos like this on our News and Events page. and Papers by Windell Curole sections for more.